Cavities are what you get from tooth decay -- damage to the tooth. 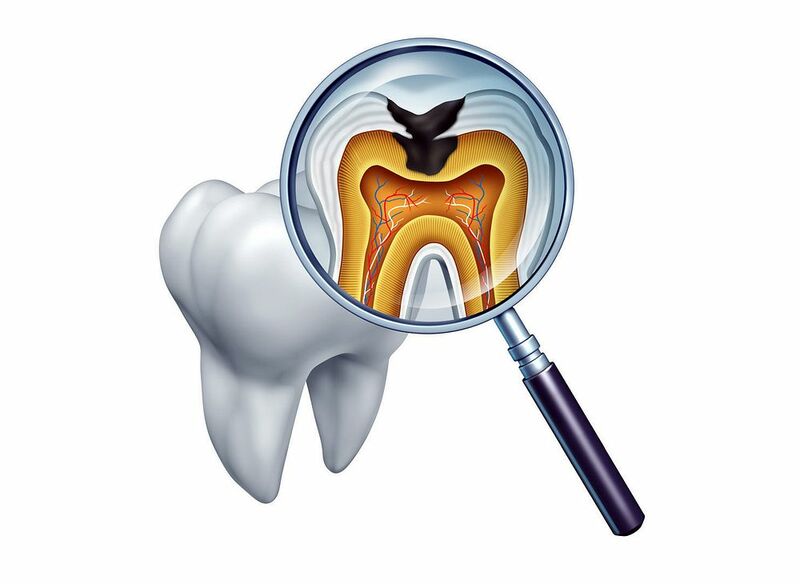 Tooth decay can affect both the outer coating of a tooth (called enamel) and the inner layer (called dentin). What causes decay? When foods with carbohydrates like bread, cereal, milk, soda, fruit, cake, or candy stay on your teeth. The bacteria in your mouth turn them into acids. The bacteria, acid, food debris, and your saliva combine to form plaque, which clings to the teeth. The acids in plaque dissolve the enamel, creating holes called cavities.